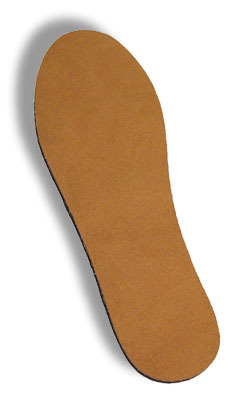 Wheaton™ Full Sole Lifts are 1/8” thick and can be trimmed with scissors to fit shoe. Comes in eight sizes: 9, 9.5, 10, 10.5, 11, 11.5, 12, or 12.5”. Specify left or right when ordering. Copyright © 2008 Wheaton Resource Corp.